The grill will be lit, and the music a hit at this year’s Beer and BBQ Show! The Agriplex will be transformed into a backyard gathering during the day, and a soirée in the eve with concerts to welcome the upcoming summer season. This two-day can’t miss event will take place on June 14-15 with a rock-show on Friday night with Sloan, and a country spectacle on Saturday when The Reklaws take the stage. 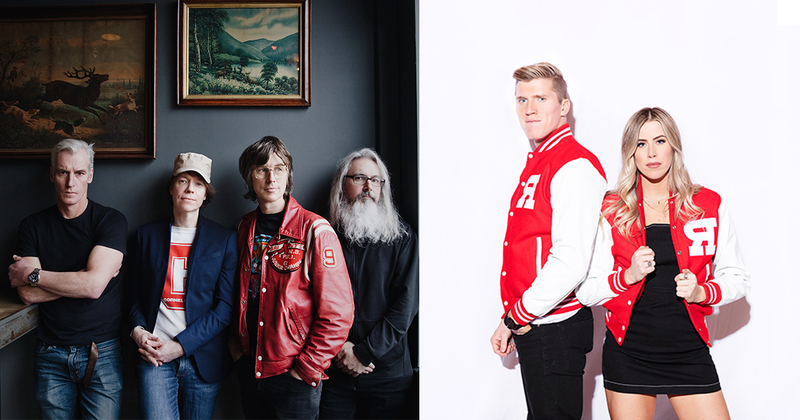 Sloan wasn’t lying to themselves, because they will be livin’ it in Canada on Friday June 14th - rock out with the Halifax native group as they play the anthems that have raised generations. Sloan has released twelve full-length albums, two EPs, a live album, and a greatest hits album. Known as ‘legendary’ the band has totalled more than 30 singles throughout their career. Canadian strong, Sloan has received nine Juno Award nominations, winning one. Their album Commonwealth became known as the album that was comprised of four mini solo LPs, proving each member of the group holds an equal share in lead vocals, writing music, and playing instruments. Enjoy the catchy tunes of ‘The Rest of My Life”, ‘Money City Maniacs’, ‘Everything You’ve Done Wrong’, and ‘The Other Man’ - to name only a few. Long Live the Night with The Reklaws on Saturday June 15th. Raised in rural Ontario, the brother-sister duo Jenna and Stuart Walker have stuck with their small town Roots while gaining recognition with their infectious songs. Pop meets country in perfect harmony with their ‘soundtrack-to-your-summer’ sound, earning them the 2012 CCMA Discovery Artist followed by the 2013 Boots & Hearts Emerging Artist Showcase title. ‘Hometown Kids’ earned them their first Top 20# Single. ‘Long Live The Night’ climbed to #15, and became The CFL’s official song of Thursday Night Football. The duo also recently took the award for SiriusXM Rising Star at the 2018 CCMA awards, and their heart-touching song Roots was featured as TSN’s World Juniors Song.